HSBC’s global strategy overhaul has reached China: the emerging market lender is in talks about offloading its 16 percent stake in Ping An, the Chinese insurer. Chief executive Stuart Gulliver could go further, by putting some numbers on his ambitions for the bank’s other Chinese assets – particularly its even-larger shareholding in Bank of Communications. A decade ago, HSBC justified its purchase of an initial 10 percent stake in Ping An by talking about growth in Chinese insurance and wealth management. HSBC’s decision to offload most of its insurance operations makes the stake look an anomaly. Besides, Ping An’s recent expansion into banking makes it more a potential rival than a partner. Ping An hasn’t been a bad investment. HSBC spent just over $1.6 billion on its stake in 2002 and 2005. Even after a 2 percent drop on news of the possible sale on Nov. 19, those shares were worth around $9.2 billion. Though any buyer is likely to demand a discount, HSBC should emerge with an annualised return of more than 20 percent. That leaves another big HSBC shareholding in China: its 19.9 percent stake in BoComm, which also dates from the early part of the last decade. At current market prices, that stake is worth around $9.8 billion. HSBC maintains that its relationship with BoComm yields benefits: the two banks co-operate on credit cards, and the Chinese lender refers companies that need help overseas to HSBC. But these benefits are hard to quantify, or place in the context of HSBC’s broader financial criteria for success. And BoComm is still consuming capital: in March, HSBC had to pump in another $1.7 billion to avoid being diluted. 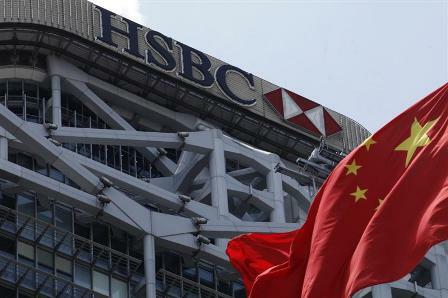 It’s unlikely HSBC will be allowed to control BoComm in the foreseeable future, given China’s restrictions on foreign ownership of banks, so it should give investors more tangible criteria for owning a minority stake. In the past, HSBC might have argued that selling would strain relations with the Chinese authorities. Its willingness to offload Ping An means that case is harder to make. HSBC announced on Nov. 19 that it was in discussions about a possible sale of its 15.57 percent stake in Ping An, the Chinese insurance group. The statement followed a report in the Hong Kong Economic Journal which said that the bank was in talks to sell the shares to Chia Tai Group, a company controlled by Thai tycoon Dhanin Chearavanont. Ping An’s Hong Kong-listed shares fell by more than 3 percent to HK$57.65. HSBC’s Hong Kong-listed shares rose 0.6 percent to HK$74.4.